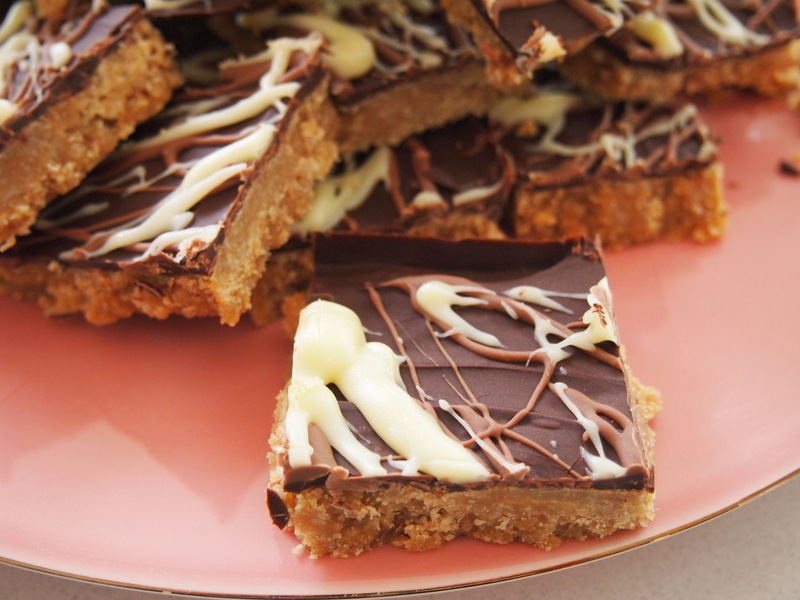 If you’re a lover of peanut butter and not averse to a bit of chocolate in life then you’re going to love this slice. Be warned though, they’re very moreish and the inclusion of coconut with the peanut butter just makes them even harder to stop eating. I found these squares of nutty chocolatey goodness to taste best when they’ve been out of the fridge for about 5 minutes, still chilled but not stone cold. If you have more will power than my family these will keep for up to a week in the refrigerator but I don’t think that’s going to be an issue! Preheat oven to 180C. 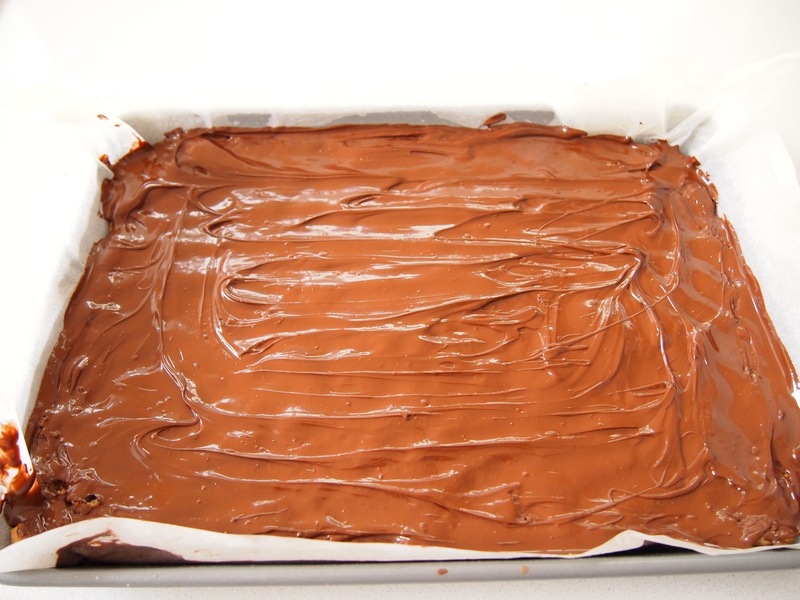 Line a 20 x 30cm lamington pan or baking tray with baking paper, leaving some overhang on all side for easy removal later. Combine the butter and peanut butter in a saucepan over low heat, stirring until melted. Place the flour in a large bowl with the sugar, coconut, egg and butter mixture and stir to combine. Press the mixture into the base of the prepared pan and smooth the surface. Bake for 10 minutes until golden. Set aside to cool for 10 minutes. Meanwhile, place the dark chocolate in a heatproof bowl over simmering water (don’t let the bowl touch the water) until the chocolate has melted. Stir until smooth, then pour over the base and chill for 30 minutes. 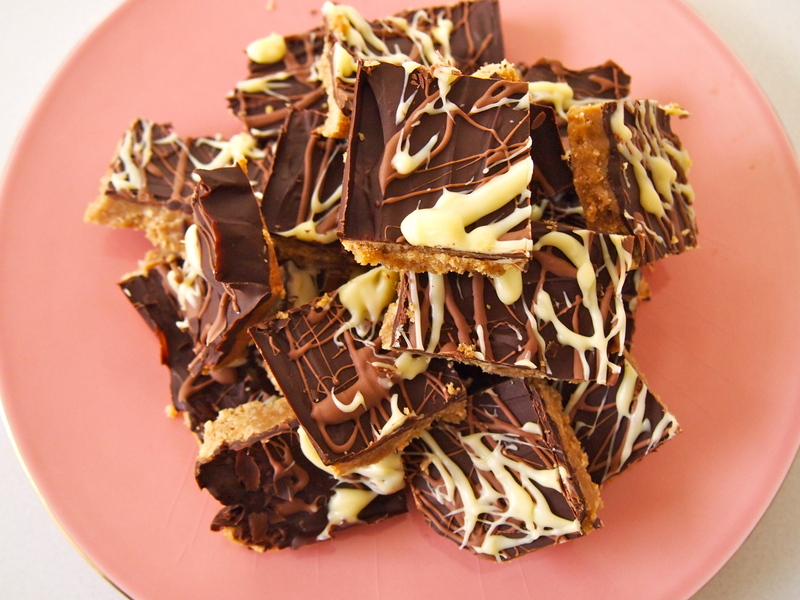 Melt the milk and white chocolates in separate bowls as above, Drizzle the slice with the melted milk chocolate, followed by the white chocolate. Chill briefly until set. 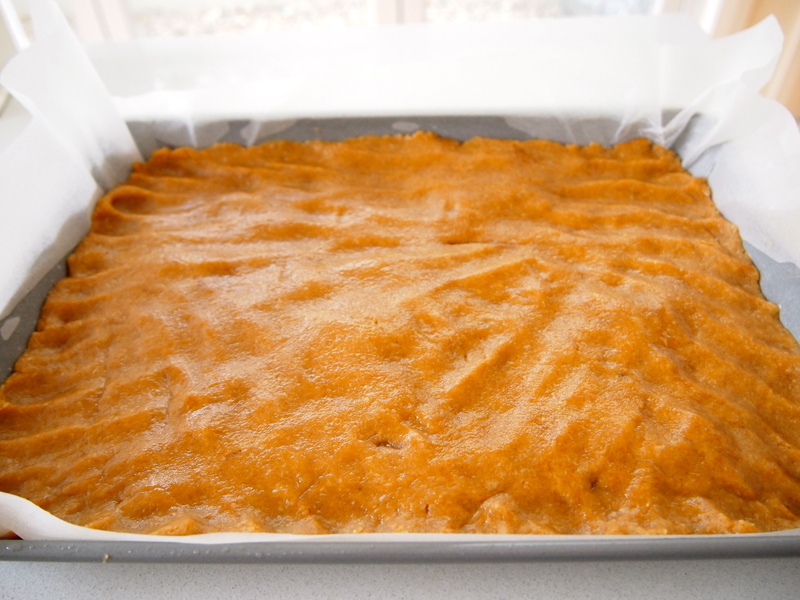 Using the paper, lift the slice out of the pan and cut into squares.